Lock in a great price for Tudor House Hotel – RelaxInnz – rated 8.2 by recent guests! 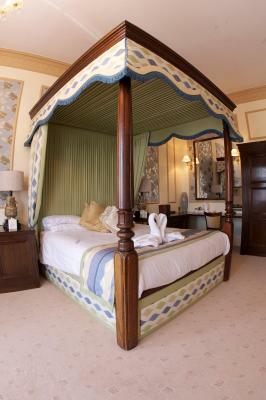 Great staff, ‘four poster’ room was great! beautiful atmosphere and access to the canals through the back. Highly recommended! Hotel full of character, staff friendly, location good, breakfast fresh and hot. Lovely room and nice staff. The room faced the main street but was quiet. We liked the quaint feel of the hotel, with its many interesting rooms and corridors. Didn't see any ghosts though! Staff was very friendly, helpful, and professional. The bed was very comfortable. Our room had a nice view of the river. Breakfast was good with both cooked and continental choices. The location and layout of the room as awesome, huge bay window over looking the river, high ceilings, fireplace....so cool. The staff were so friendly and helpful and all of our meals were beautifully presented and tasted delicious. Our room was clean and comfortable, shower had fab pressure. Location right in town and backing to the Avon great. My children and I loved staying in such an old hotel. The location was perfect for walks along the river or popping over to any of the nearby shops. Breakfast was good and the cleaning and waitstaff were all friendly and helpful. The breakfast was fantastic, the beds were super comfortable, the rooms were spacious, the character of the property was spectacular, and the service was lovely. Another amazing stay, I will certainly be back again! THE HOTEL IS BEAUTIFUL, CLASSIC AND COMOMFORTABLE. Tudor House Hotel – RelaxInnz This rating is a reflection of how the property compares to the industry standard when it comes to price, facilities and services available. It's based on a self-evaluation by the property. Use this rating to help choose your stay! Dating back to the 16th century, Tudor House Hotel is on the edge of historical Tewkesbury, overlooking the River Avon. Rich in history, the Tudor House features exposed oak beams, open fireplaces and an original priest’s hole. There is also a secret garden, and an oak door with ax marks from Oliver Cromwell’s soldiers. Cromwell’s Real Ale Bar offers light snacks and beverages, and full English breakfasts are available daily. The Court Room restaurant serves a modern British menu in intimate surroundings. 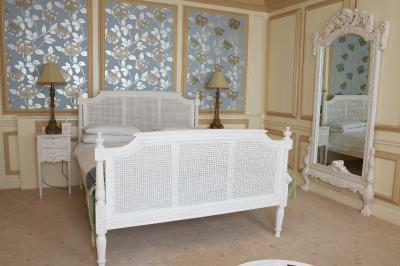 The elegant bedrooms have an private bathroom, free Wi-Fi access, a TV, tea/coffee facilities and a hairdryer. Some rooms also have lovely river views. Located on Tewkesbury High Street, The Tudor House Hotel is surrounded by scenic Gloucestershire countryside. Cheltenham, with its parks, gardens, shops and museums, is a 20-minute drive away. When would you like to stay at Tudor House Hotel – RelaxInnz? 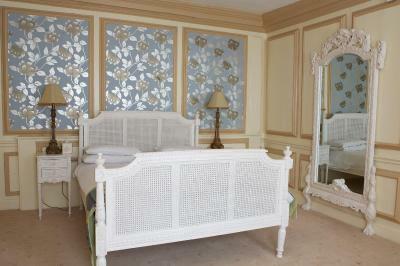 Individually designed, this room offers tea and coffee making facilities. There is also a dressing table or desk space. Some feature restored open oak paneled beams. This twin room features a tea/coffee maker. This spacious room includes tea and coffee making faiclities. It also offers an en suite shower. 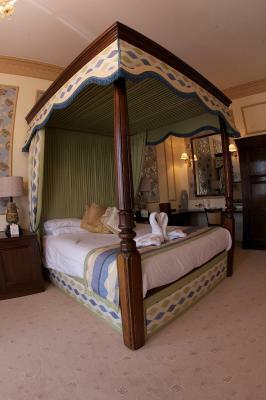 This spacious room has a 4-poster bed and a flat-screen TV. Enjoy picturesque views from the curved sash windows out over the Avon River and the Malvern Hills. There is also a luxury spa bathtub with a large shower. Benefits from picturesque views from the curve sash windows looking over the River Avon and the Malvern Hills. Amenities include tea and coffee making facilities. 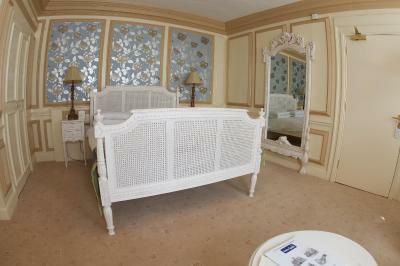 This spacious room includes an en suite wet room and a dressing table or desk space. Some feature restored open oak paneled beans. House Rules Tudor House Hotel – RelaxInnz takes special requests – add in the next step! Tudor House Hotel – RelaxInnz accepts these cards and reserves the right to temporarily hold an amount prior to arrival. If you are due to arrive later than 21:00, please contact reception in advance in order to inform them of your estimated time of arrival. You can contact reception by telephone or via email, using the contact details supplied on your confirmation email. Please note that guests are issued with their own keys to enter the hotel after midnight, as there is no night porter service. It was all great as always. Michelle & Mike are great hosts & always go out of their way to make our stay the best. I last stayed here 2 years ago and nothing has changed. Still dingy and tired decoration and carpets. Overpowering smell of cooking fat in the reception area put me off eating in the restaurant - went to the local Wetherspoons instead. For the money I would say it is overpriced. Bathroom could do with an update but was good enough for what we needed. There was nothing to dislike - although we were a bit disappointed not to encounter any of the ghosts.......!! The food was OK, service a little slow. Dirty rooms and a noisy cherry picker outside my window at 8 in the morning. A noisy cherry picker operating outside my window at 8am. Had to leave as I was told this was perfectly reasonable. Awful filthy rooms not my cup of tea could not stay a moment longer. I have a photograph of it. Evening meals finish at 8.00pm which is a bit early. Great character hotel. Very interesting building which has been sympathetically converted. Good location and nice breakfast. Staff were very helpful. 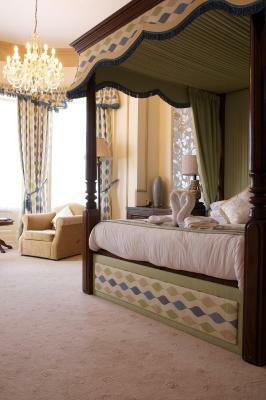 The room we stayed in was gorgeous, the best in hotel .. four poster bed , a Jacuzzi bath and a view over looking the river Avon . The staff were so attentive and the hospitality from Michelle the manager was outstanding. the room looked a bit tired carpet would benefit from deep clean or change. paintwork needed refreshing and black around plughole needed sorting. a thicker duvet needed as weather was cold. easy access to room. very helpful and great staff. warm room with wet room was great. good parking facilities.excellent breakfast.